Associate Professor Ross Cunnington is a cognitive neuroscientist with research interests in the brain processes involved in the planning and preparation for action and in the perception and imitation of others’ actions. 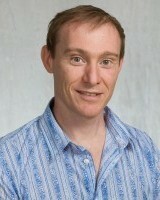 He was awarded a PhD in psychology from Monash University in 1997. He joined The University of Queensland in 2007 as a Principal Research Fellow in the School of Psychology and the Queensland Brain Institute.